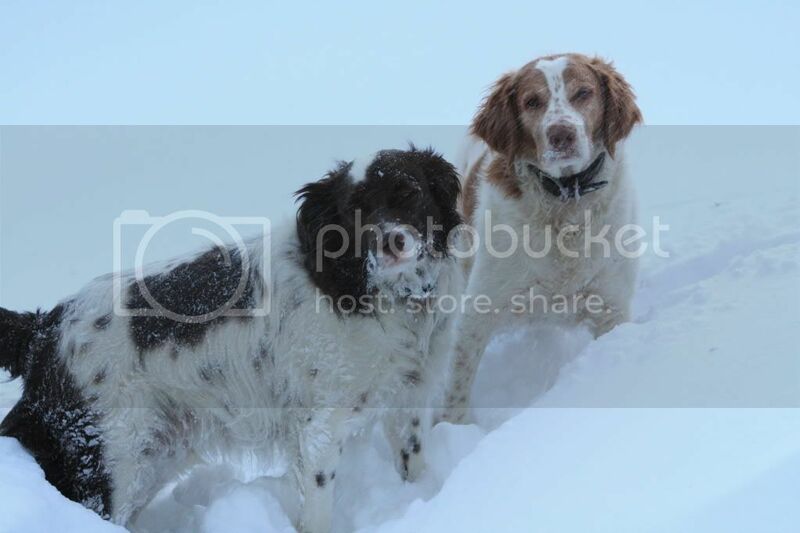 American Brittany Rescue • View topic - Can't wait for Summer to be over! Can't wait for Summer to be over! Re: Can't wait for Summer to be over! I agree!!! Cute picture but your poor dogs look like they've had it with the hot weather - I know ours have. We've been trying to get to Lake Moomaw at least one day every week (it's a 2 hr drive each way) because we ALL need a day outdoors. I'm so sick of being cooped up in air conditioning but when the temperature hits the mid to upper 90s and the humidity is high, you really can't stand to be out for long. We were just out there today and the dogs spent most of the time swimming or pushing me off the raft I was floating on! 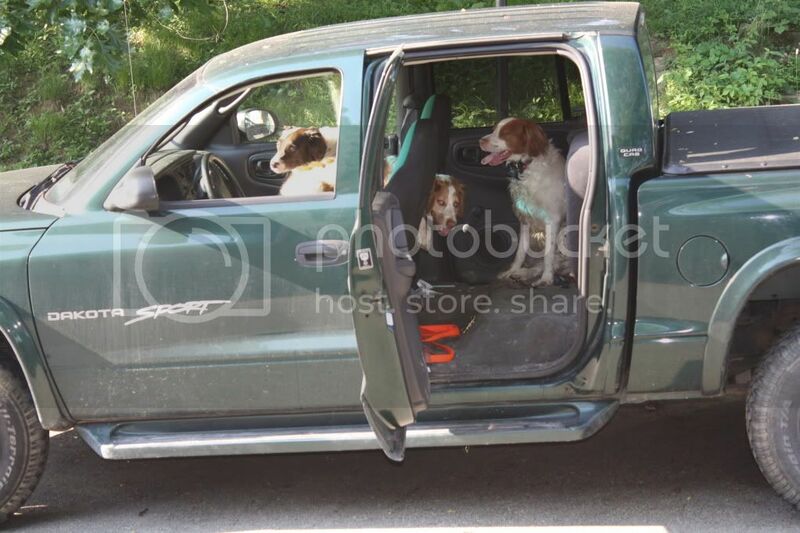 You know they are sitting in the truck because they are ready to go hunting! Jack says, "Get in the back, Dad. I'm driving." I don't want to see that white %#@$ yet !!!!!. Want to enjoy the good weather as long as I can. It will be here too quick!!! 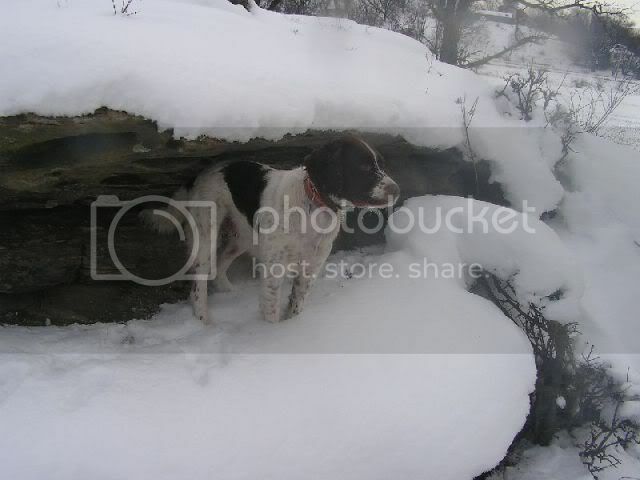 I'm liking this idea - let's all post snow pictures to cool us down! Great pictures! After today I could almost feel the cool breezes.